Jeremy Kavanagh played youth hockey in his native Newfoundland, and Junior A with the Amherst (Nova Scotia) Ramblers of the MHL, before going on to play Senior Hockey (and capturing a national title) with the Clarenville Caribous. Now, as Head Defence Instructor with St. John’s-based Xtreme Hockey, Jeremy is helping to lead the way in integrating PowerPlayer feedback as a key instructional tool for the 15 year-old organization’s players and parents. 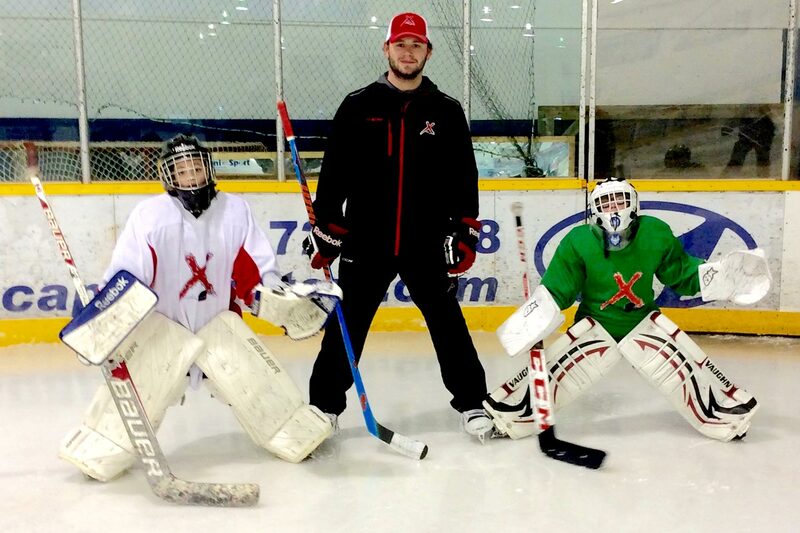 Xtreme Hockey first learned about PowerPlayer through some hockey connections at Evolve Hockey in the States, and immediately saw it as an amazing teaching tool. I mean, if someone had told me or shown me what specific aspects of my game or demeanor or whatever that I needed to work on as I was growing up, through video, comments and data, I would have loved it and I’m sure benefitted from it tremendously. How are you integrating PowerPlayer into the Xtreme program? We provide hockey instruction to a private school here in St John’s (Lakecrest), so to learn the ins and outs of the system and to see what might be possible, we’re running the program first with that group. To get baseline metrics and determine skill levels on the kids (many of whom we didn’t know as they come from places like Alberta, California, and the Czech Republic), we ran the kids through PowerPlayer drills every second week for about the first 60 days, during which time we focused particularly on skating form and technique. We collected a lot of data to see if they were progressing, and used PowerPlayer heavily on the instructional side, shooting lots of video and giving the kids detailed comments so they could see themselves doing the things we were talking about. After week four we simply asked all the kids “Do you like the PowerPlayer stuff?” They all immediately yelled “Yes!” And they all want more. They love the video and comments and being able to get it all on their smartphones or tablets, because that’s how they communicate. And the parents love seeing the feedback too. They get to see exactly what’s going on with their kids as they progress. What aspects of PowerPlayer are you using the most and why? We collect metrics for sure, but comments and video are what we use most. I like to give a detailed analysis of how each player is doing, and I really focus on providing positive comments. We love that the system allows us to really be age and skill level appropriate in our instruction, we want the kids to know that it’s ok to learn, and that everyone can get better at something. And we want them to have fun while they’re doing it. What do you feel PowerPlayer does for you and your colleagues as coaches? Well first, the whole Xtreme staff—Andrew Pearcey, Operations Manager, Adam Pearcey, Leader of Youth Development, and Redmond Hunt, Goalie Instructor—believes in PowerPlayer, so huge thanks to them for helping to get this program going. Simply put, PowerPlayer makes us better at what we do. Sometimes when you give a player verbal feedback on the ice, they kind of look at you like they sort of get it, but they really don’t. With PowerPlayer we can easily shoot a quick video of a kid’s wrist shot, for example, and show him that he’s trying to shoot with the puck on the toe of his stick instead of the heel. Once he sees that he totally gets it. And later, when he sees himself shooting the right way, it’s incredible! Also, now that we really understand each player’s unique demeanor, attitude, and ability, we’re able to challenge them appropriately. For example, we might tailor drills for a specific subset of kids, or make sure they’re grouped together at practice in ways that are going to benefit them. What’s got you excited about PowerPlayer? We love the program. We’re seeing huge improvements in our kids now and we’re excited to roll PowerPlayer out to more and more of our players in a big way in 2018. The ability to input video and comments, and to collect standardized metrics is awesome. It reminds me of how excited I was when, after I got hurt in my last year of Junior, I was the guy who shot and cut video for the team. I knew immediately that was a huge teaching tool. All I know is, I’ve heard our co-founders Randy Pearcey (highly regarded player, coach, and Newfoundland Hockey Hall of Fame member) and Andrew McKim (former NHL / AHL / European league player) say they think technology like PowerPlayer is the way of the future for instructing players. I personally believe the future is now.